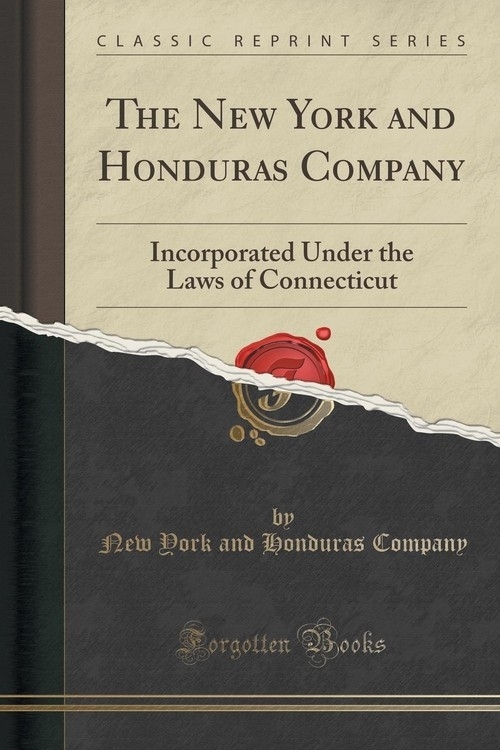 Excerpt from The New York and Honduras Company: Incorporated Under the Laws of Connecticut<br><br>In presenting to public attention "The New York and Honduras Company," it is proper that some explanations be offered of the character and advantages of the Concession granted it by the Republic of Honduras, as well as of the business ready for immediate, and, it is believed, profitable prosecution.<br><br>The territory embraced in the Concession to the company has a frontage on the Carribean Sea of about 50 miles, and extends inland, as stated, 45 miles, making an area of some 2,250 square miles, or 1,440,000 acres. In extent it is something larger than the State of Delaware. Very little of this territory is valueless, much the larger proportion of it being covered by primeval forests; and all authorities agree in stating that these forests of Northern Honduras are among the most valuable in the world. Other portions of it are alluvial plains, among which may particularly be specified the great Plain of Sula, lying at the mouth of the Ulua River. Three centuries ago, under the Spanish dominion, this plain was celebrated for its fertility, and was then, and for many years later, the seat of vast estates, covered with herds of cattle; but the inroads of buccaneers and the ravages of foreign and internecine wars relegated it to a condition of nature, and it thus remains, awaiting only the touch of industry and enterprise to bloom again among the gardens of the earth.<br><br>About the Publisher<br><br>Forgotten Books publishes hundreds of thousands of rare and classic books. Find more at www.forgottenbooks.com<br><br>This book is a reproduction of an important historical work. Forgotten Books uses state-of-the-art technology to digitally reconstruct the work, preserving the original format whilst repairing imperfections present in the aged copy. In rare cases, an imperfection in the original, such as a blemish or missing page, may be replicated in our edition. We do, however, repair the vast majority of imperfections successfully; any imperfections that remain are intentionally left to preserve the state of such historical works.